The free version of DriveClub for PlayStation Plus subscribers has been delayed. PlayStation Plus subscribers hoping to try the promised free trial of Driveclub this week, are in for a disappointment; developer Evolution Studios is holding back the PS Plus Edition due to server issues. The PS Plus Edition was originally scheduled for release in North America yesterday alongside the game's physical launch. However, plans were shifted in the wake of servers being pushed "to their absolute limits," game director Paul Rustchuhnsky wrote. "We are sorry if you are having a hard time getting online as we know many of you are. Please be aware that the game will automatically keep trying to connect you. Once you're online, you should have no further problems during your session," he continues. "Everyone at the studio is now working hard to get new updates ready for the game servers to improve connectivity. We will be rolling out these updates day by day and will keep you informed." 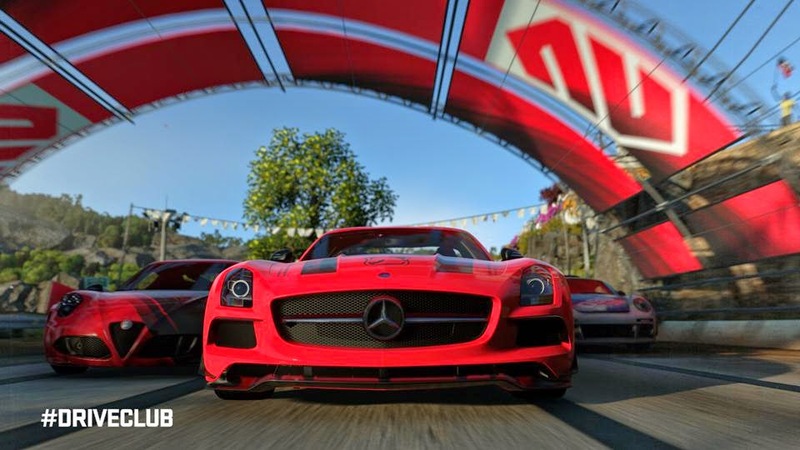 The studio is now temporarily holding back the release of both the PS Plus Edition and the My DriveClub app, which Rustchuhnsky says should offer existing players a better chance to connect to the game's servers. The studio will announce the eventual release of both the app and the PS Plus Edition once servers begin operating "well," he adds. Those who pre-ordered the full game upgrade from the PS Plus Edition will still receive a full version of the game digitally. Likewise, if you aren't able to access the game online, players will still be able to get started in offline, single-player mode to earn fame and unlock cars. All actions taken in offline mode will then be synchronized with servers once connected.